For over a century, American Forests has been a leader in promoting urban tree canopy for the health, sustainability, and livability of cities. Urban forests should be a central part of every city’s plans and investments, and at American Forests, we lead a bipartisan effort to make forest restoration a top priority in Washington and throughout the country because the presence of trees affects our environment, economy, social interactions, and psychological well-being as people. Urban forestry is more than simply planting trees; it also includes planning, landscape architecture, transportation, public works, public safety, and city management. Active urban forests must stretch across property lines and jurisdictional boundaries. A healthy tree canopy has the potential to benefit nearly every aspect of daily life — from crime rates and academic performance to water quality and economic development. To this end, American Forests launched Vibrant Cities Lab in 2017 to take a leadership role in bringing our urban forestry expertise to a broader audience. This first-ever digital hub for urban forestry, in partnership with the U.S. Forest Service (USFS) and National Association of Regional Councils (NARC) as well as other cohorts, provides a central hub for all of the best tools and technical information for urban forests, including online computer mapping using tree canopy cover. City managers and other leaders are now accessing powerful information and tools to lead successful local reforestation efforts in cities and towns across America! Our commitment to building vibrant cities through urban forests and green space can also be witnessed through our Community ReLeaf programs, where we have expanded partnerships with cities to bring tree equity to underserved communities. From ensuring equitable distribution of tree canopy to creating much-needed tree care industry jobs, this award-winning program, and its diverse partnerships, helps expand the reach and benefits of urban forestry farther, faster, and to the neighborhoods most in need of tree canopy cover. American Forests’ uniquely comprehensive process for urban forestry has developed strong coalitions, scientific data and action plans to launch large-scale reforestation efforts in major cities, including Detroit, Miami, Houston, and Dallas. New partnerships, alongside longstanding work in cities like Chicago, Cleveland, San Francisco, and Los Angeles have generated important urban tree planting projects that bring a leafy, green canopy to cities across America. 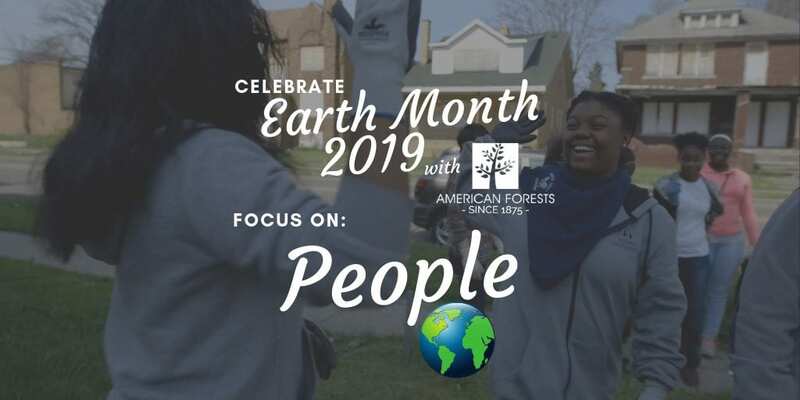 Our efforts in urban forestry bring equity to communities across the U.S. to ensure all people in cities and towns receive the benefits that trees provide because there is no doubt about it, forests are an essential investment in America’s future.